Have you heard of light language? It's becoming more popular with healers out there, but what exactly is it? Can anyone do it? One of my "go to" spiritual healers is Yvonne Perry. 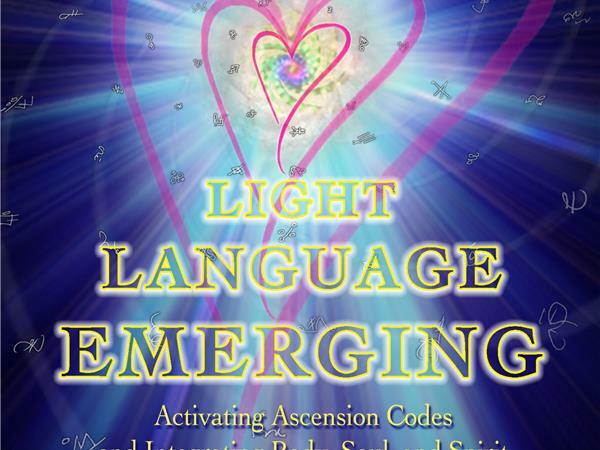 Her book, Light Language Emerging ~ Activating Ascension Codes & Integrating Body, Soul, & Spirit, shares how multidimensional aspects of the soul are being incorporated into a unified expression of wholeness, and how light language plays a role in this process. She shares how you can learn to move in sync with Spirit to bring restoration to all creation as you integrate aspects of your multidimensional soul for a unified expression of your highest self. I asked Yvonne to come on the show to share more and to give us a "taste" of the light language for callers.. and she said yes! WHat is Light Lanuage exactly? Who can activate light language? How is light language activated? Be sure to join us live to experience light language LIVE for yourself!